Market dominance, default settings and proactive measures — there's a few topics experts still want answers on. 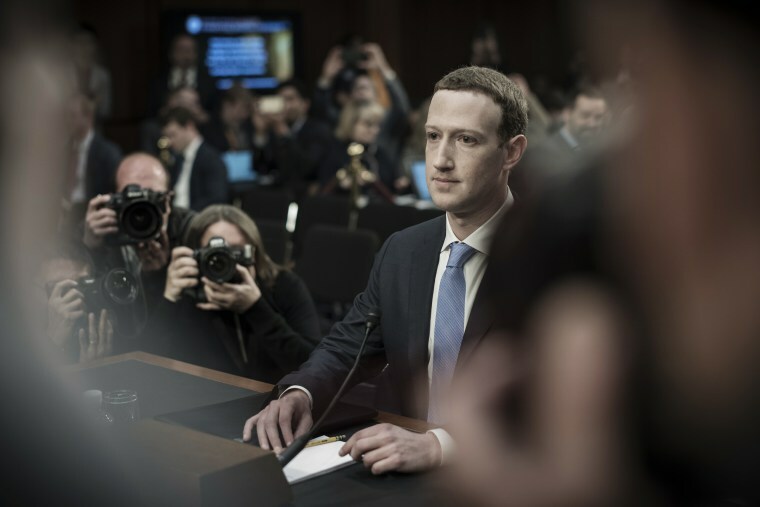 Facebook CEO Mark Zuckerberg took around 600 questions in two days of testimony before Congress this week on everything from what hotel he was staying at to how privacy settings work on Facebook. But some important questions weren’t even asked — or weren’t fully answered by Zuckerberg — leaving the company relatively unscathed on issues like its market dominance and the possibility of changing its default settings on user data collection. The 96 lawmakers, who each had only a few minutes to question Zuckerberg, missed the opportunity to press him on Facebook’s lack of competition, said Ashkan Soltani, a former chief technologist of the Federal Trade Commission. “I think we saw it was hard to articulate what could be the equivalent of Facebook,” Soltani said. During a sharp line of questioning Tuesday by Sen. Lindsey Graham, R-S.C., Zuckerberg struggled to name a direct competitor to Facebook, instead offering examples of companies that may overlap with certain aspects of what Facebook does. Other lawmakers should have continued that line of questioning, Soltani said. He called the monopoly question “underexplored” and said it could have served as a jumping-off point for a more in-depth discussion. Soltani suggested lawmakers could have asked about apps that use Facebook as a single sign-on. There’s also the more than 40 million small businesses that have Facebook pages and heavily rely on the social network to reach and engage with customers. While Zuckerberg’s apology tour has generated headlines and Facebook has rolled out some new tools, including a way to make it easier to manage app permissions, the big picture outlook has been missing, said Sally Shipman Wentworth, vice president of global policy development at the Internet Society, an international organization that supports an open and transparent internet. “There has been little discussion of where we should end up,” Wentworth wrote in a blog post. Jen Golbeck, a professor at the University of Maryland's College of Information Studies, said Rep. Frank Pallone, D-N.J., touched on a salient issue that went mostly unexplored during the House hearing on Wednesday. On Monday, Facebook announced it would partner with a group of academics to study abuse of the company’s platform, providing data and allowing them to independently publish their research. Golbeck said “one of the first questions” Congress should have asked is how Facebook is going to anticipate future abuse. It’s a question that “lots of people — me included — have raised over and over again,” Golbeck said. “It raises lots of questions about how much attention Facebook gives to the use of their platform beyond the profit element, and that is super-concerning given the role it plays in people's lives,” she said.